After all that I have read by Bill Bryson, I have come to believe that the man can write just about anything and make it funny. He can. That is almost an undisputed fact now, where I am concerned. You read any of his books and you will believe in what I say. He is uproariously funny and you would have to actually stop yourself from laughing too hard, might you pull a muscle or two. I was on a flight from Bangalore to Bombay when I started reading “Notes from a Big Country” and if not all, then at least half the people on the flight must have thought I belong to the loony bin, and only because I could not control my laughter. He is one writer who can make me laugh. I have always struggled with humour in books. I cannot get it. I don’t seem to laugh out loud. Even The Hitchhiker’s Galaxy did not do it for me. I did not get it. That’s all. Bill Bryson on the other hand never fails to make me laugh, to the point of snorting. The power of well-crafted words is something else and Bryson knows what to do and how. He was assigned a weekly column when he returned to America after two decades to write about the country. The column featured in Mail on Sunday’s Night & Day magazine, and ended with seventy-eight pieces. “Notes from a Big Country” was the name of the column, compiled into a book. He writes about everything in America – from why so many people are dumb to why America is home, what is right with it (minimally) and what is wrong with it(quite sarcastically). May be this is precisely why the reader is never bored – the book somehow just breezes through. For instance, the piece on Christmas, he says this: “Christmas tree stands are the work of the devil and they want you dead”. Another one on a child artiste in a movie: “Also, Jane has a ten-year-old daughter played by one of those syrupy, pig tailed, revoltingly precocious child actors of the fifties that you just ache to push out of a high window.” Gems such as these and more, will only want you to snuggle into this book and not get out of the laughter coma induced by a single gentleman. 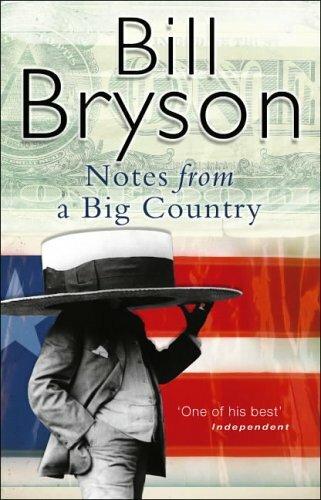 This entry was posted in Black Swan Books, Books, Non Fiction, Random House UK, Review and tagged Bill Bryson, Black Swan, Columns, essays, humour, Notes from a Big Country, Random House UK on November 14, 2013 by thehungryreader. This dual-time narrative follows the stories of two very different men who can’t let go of the women they love. In 1992, Leo Deakin loses his girlfriend in a bus accident in South America and struggles to get over her death, wondering how he could ever possibly move on. He sees Eleni in everything he does, yet her continued presence in his life causes him to fall into a spiral of depression. Meanwhile, in the Austro-Hungarian Empire on the outbreak of WWI, Moritz Daniecki leaves his beloved Lotte to fight the Russians. He ends up captured and placed in a Siberian POW camp, and it will take him years to trek back to Lotte after he escapes. The memory of her brief kiss keeps him going through the cold winter and the harsh life of Revolution-era Russia, but will she still be waiting for him when he makes it back to their village? And what is the link between Leo and Moritz’s tales of enduring love? I’ve had my eye on this book for a while but I never got around to reading it until I was sent a copy. I really enjoyed reading about the “other side” of WWI. While everyone knows about what went on in Britain, the USA, Germany and even France, Russia and other Eastern European countries often get forgotten. Moritz’s story was tough and truly heartbreaking, as he devoted himself to travelling across Russia despite not knowing whether Lotte would wait for him. The descriptions of the state of the Austro-Hungarian army and the POW camp were rather horrific, and not for the faint-hearted! There were some scenes that made me feel a bit sick, but you truly understand what the soldiers experienced. Even those who have never studied this period in history will be able to appreciate this book as it gives you a flavour of the Eastern front of WWI without expecting any prior knowledge. I also loved the way that Moritz’s story was told, in his death-bed speech to his oldest son during WWII. I could almost hear his voice as I read the story. Leo’s story, on the other hand, was told in third-person and I felt rather detached from it. While I was intrigued with the premise – a man waking up in a hospital in South America and having no idea how he got there – the mystery of his accident and Eleni’s death was solved very quickly, and I found it difficult to connect with him. I sympathized with his plight at having lost his love, but the way that he dealt with it didn’t sit well with me. Despite claiming that he was mourning Eleni, he got involved with a couple of women who he didn’t care about and it made me feel rather uncomfortable. I explained the situation to my fiancée and even he thought it made Leo an unlikable character. Leo also makes friends with Roberto, a physics lecturer, and makes connections between physics and love. These were kind of interesting, but didn’t mean a lot to an Arts student like myself! I was happy with the conclusion to Leo’s story and I warmed up to him a lot more in the last few chapters, but overall he was difficult to connect with. This novel is worth reading just for Moritz’s story – it truly is a tale of heroic love. Leo’s is heartbreaking in its own way, even if I didn’t always agree with his actions. Don’t read this if you’re feeling sad, as the plight of Moritz and Leo will probably just make you feel worse! I would recommend this to anyone who enjoys dual-time narratives (I suspected the connection early on but it’s still worth reading to uncover it! ), unusual tales of love or historical fiction. And it’s completely possible to read this without knowing anything about WWI, the Russian Revolution, South America or physics! This entry was posted in Black Swan Books, Books, Fiction, Review and tagged black swan books, danny scheinmann, loss, Love, love story, memories, random acts of heroic love, world war II on March 16, 2011 by thehungryreader.